1. 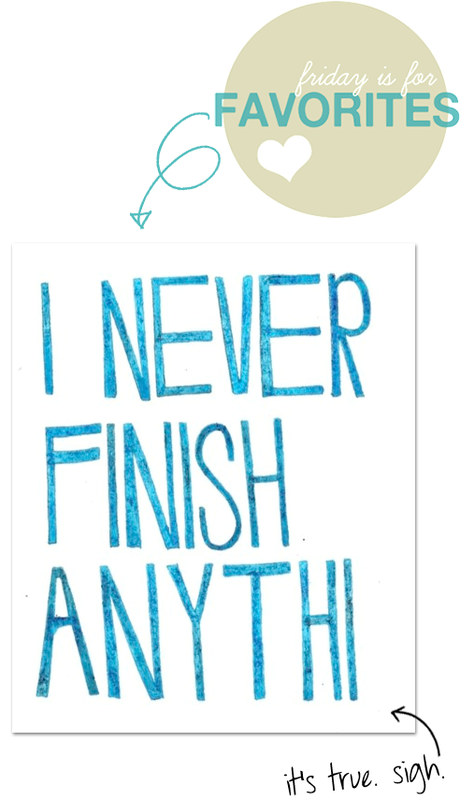 An 18 year old graphic design major named Julia read my mind. 2. Awesome photograph of 1969 high school fashion via Life. 3. Ahhhmazing apple green vintage cat eye glasses from Flat Tire Vintage. 4. 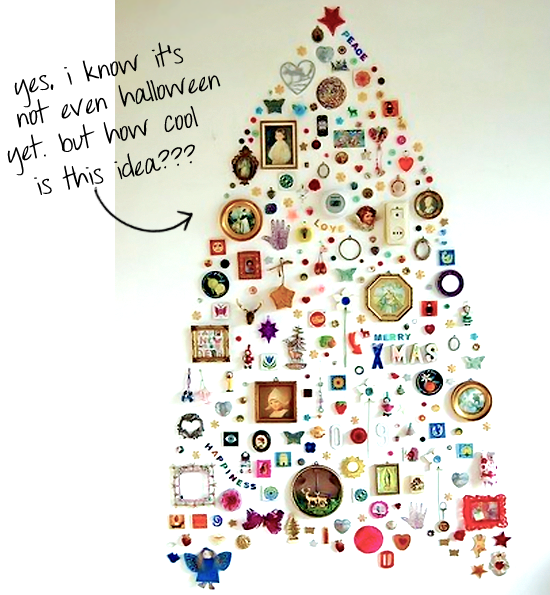 Ultra creative christmas decoration idea. 5. Gorgeous image from MAC's fall '11 'Styledriven' cosmetics collection. 6. 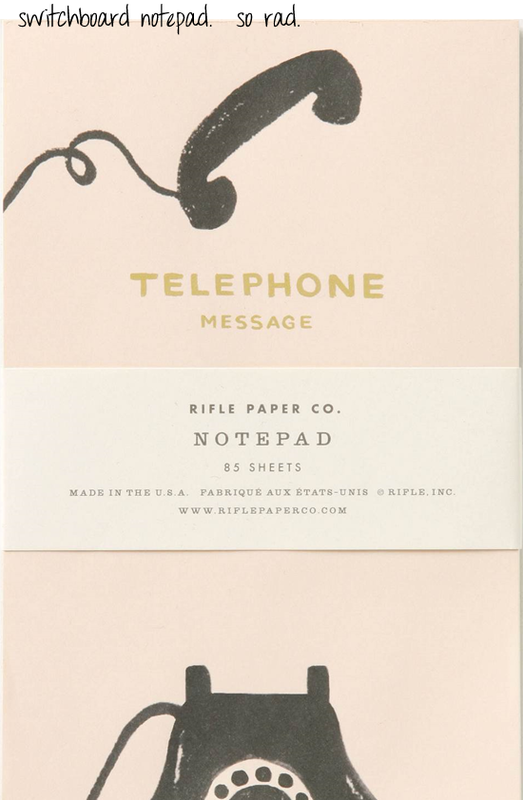 I love this switchboard notepad from Anthropologie. Do you have any fun plans for the weekend? As long as Bubby dog is doing okay (he's had another rough couple of days; my poor baby), a friend and I are going to PJ20 to see the Strokes and Pearl Jam. It's been a while since I've gone to a show that didn't involve going to work with Robbie, so I'm crossing my fingers that my sweet old doggy feels good and lets mama have a few hours out. Have a wonderful rest of Friday, and a fabulous weekend too! Omg I love those glasses! And the Life photo and the 60s fashion print! such great finds! the life photo is wonderful. i absolutely love that poster! so true, so true. Thanks so much for your comments everyone! I hope you had an amazing weekend!